It’s been over two months since my boat was hit, and I still live aboard it and I still haven’t done anything with the boat. Why? Because I love the darn thing and I can’t seem to part with it. That is a problem for my mental health–I need to live in a secure and decent place, which is not this boat. I sent an email to Baggett & Sons Marine Restoration asking if they were interested in taking my Islander and eventually restoring it to glory. So far I haven’t heard back. This is my last ditch effort to have the Islander saved. I’m finding that stripping her of her parts is practically impossible for me. I sold the kerosene cooking system, but I hated that stove, and will be selling off the generator and dinghy, but giving up integral parts of my ship…well, I’m stalling. 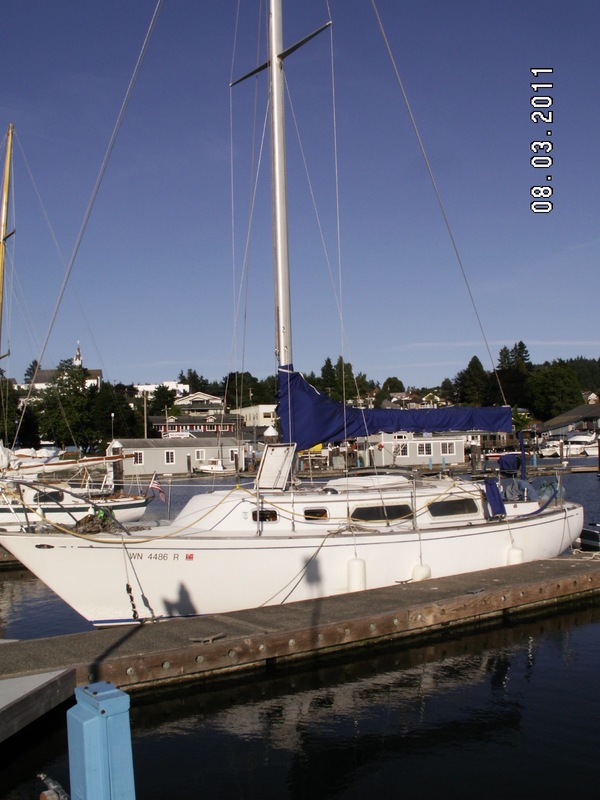 What I want is to sell this boat for a good price to a shipwright, novice, intermediate, expert, doesn’t matter. Someone who wants to work on the boat on his or her own time, no rush. Could be a learning experience. Heck, if I had a place to store the boat for a minimum price, I’d try working on the boat myself. She has a bigger hold on my heart than I thought. The idea of her being smashed or sunk or whatever it is that’s done to broken boats…no way, I don’t want that. If that shipwright decides to sell the boat after it’s restored, I’d love the first chance to buy it back. Does anyone know of someone in the PNW who might be interested in the above scenario?